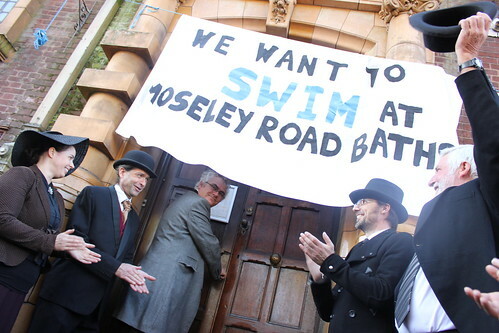 On Saturday, members of the Friends of Moseley Road Baths and our supporters gathered for a celebratory swim and cake to mark the exciting news that Moseley Road Baths will remain open beyond the end of this month. Don’t forget that the pool is open over the Summer holidays. As school lessons aren’t taking place it means that there are plenty of sessions for you to enjoy a dip! Have a look at the timetable for swim times! Can we get our petition up to 1,000 or more by the end of the month? We appreciate how many of you have signed petitions over the years, but we believe that a strong show of support NOW will help us make the case for keeping the Baths open beyond its scheduled closing date of July. The council is discussing with the Friends and others in the community, plus heritage organisations, how the baths might be kept open. The current closing date is July, but it might be extended to allow a community grouping and/or non-profit operator to be ready to take it on, while work is done on seeking funding for necessary renovation. A well attended Annual General Meeting took place on Thursday 10 April in the ORT Café welcoming regular as well as new supporters. Following our public consultation on your views on the future use and management of the building the aims of the group have been amended to reflect the ambition for swimming to remain at Moseley Road but to allow for discussions on how this is best achieved. With the local council aiming to reopen Sparkhill baths in 2015 and therefore close Moseley Road the AGM heard about a recent meeting between the group and council aimed at making every effort to seek a way to keep the baths open. Hopefully there will be more progress to come following this meeting and further dialogue with the council. Following the business side of the AGM supporters broke into several groups looking at how best to utilise their own skills and contacts to support the campaign. 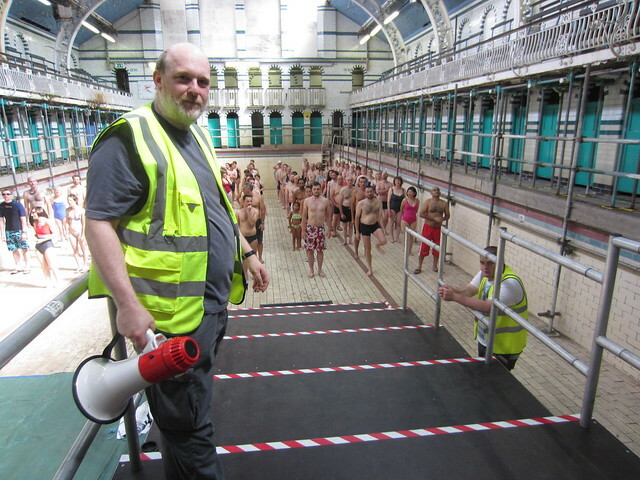 With lobbying and liaison, events and media there are opportunities for supporters to work together on the campaign and we would welcome any ideas or help you can bring to the work of the group to keep Moseley Road Baths open. We have received this press release from former Cabinet Member for Sport, Leisure and Culture, Martin Mullaney. Frustrated with the Council’s failure to submit the HLF bid he is making a public protest about their failure to commit to the long term future of the building. This Thursday, 14th February, between 10am and 12noon I will be chaining myself to Moseley Road baths at protest against Birmingham City Council’s recent decision to cancel the Heritage Lottery bid for phase 1 of the restoration of the baths AND its announcement that once the current boilers break down or the buildings have a structural fault they will be permanently closing the building to swimming. Readers of my blog will know that both the boilers and the roof of the building are on their last legs and probably won’t last longer than 2015. 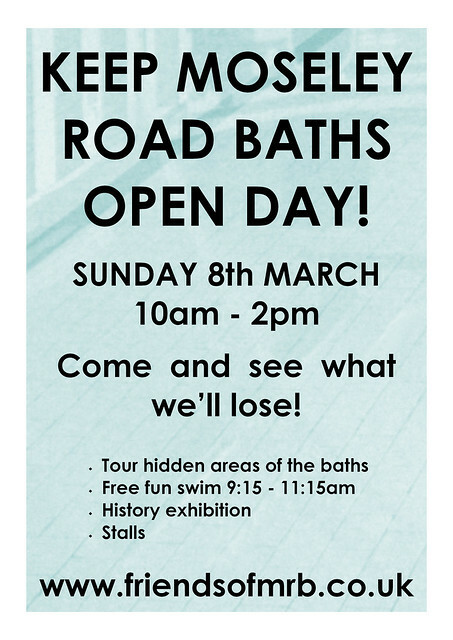 I will be wearing an Edwardian swimming costume, since Moseley Road baths are the last completely intact and operating Edwardian swimming baths in Britain. 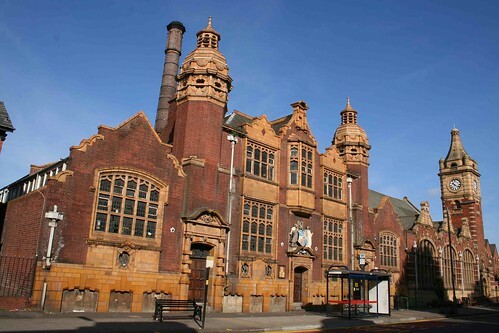 Statutory listed Grade II* – less than 10% of listed buildings have such a high listing – these baths are not only important to Balsall Heath, but are of national importance. I was Cabinet member for Leisure, Sport and Culture for Birmingham City Council from 2009 to 2012 and led on the Council’s Heritage Lottery bid for these baths. In March 2012, I persuaded my Cabinet colleagues to commit to allocating £3million of 2015/16 capital money from the Council’s budget, which would be used as match funding against a bid for £5million from the Heritage Lottery fund. In December 2012, the new Labour administration announced that the Heritage Lottery bid was been withdrawn and there would no longer be any plans to restore the baths or even to keep them as swimming baths. Further, the Labour administration has repeatedly claimed the £3million allocated never existed. This is total rubbish. The Cabinet report allocating the £3million was counter-signed by the Chief Financial officer who is not allowed to sign financial reports if the financial details do not add up or the monies are non-existent. The money would have come from the 2015/16 capital budget which amounts to £1,000million per year and £3million within that budget would have been set aside for Moseley Road baths. Please feel free to join me at this protest. You don’t need to lock yourself up. Just be there and show support.